ASC Fine Wines, the leading wine importer in Greater China, has reported double-digit growth for the year of 2018 amid weakening economy and ongoing China-US trade war, its company CEO has revealed in Chengdu, while admitting replicating such growth for 2019 is “impossible”. 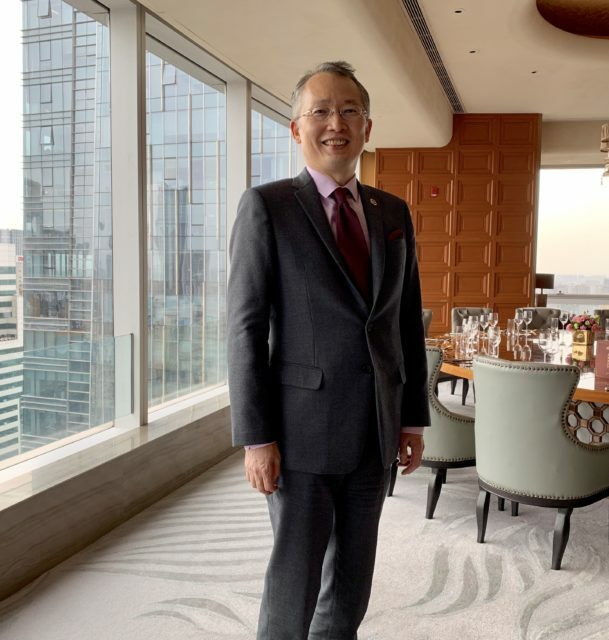 Despite China’s economic troubles at present, ASC Fine Wines posted strong growth in 2018 with a double-digit growth in value, Yoshi Shibuya, company CEO, announced at a press briefing in Chengdu during Chengdu wine fair last week, though exact details were not revealed. The growth is in sharp contrast to China’s tepid wine import performance in 2018. China’s weakening economy in 2018, the worst since 1990, and depreciated RMB coupled with uncertainties of the trade dispute with the US have adversely affected different sectors of the country’s manufacturing, exporting and importing businesses including wine. For the first time since 2014 when the anti-corruption drive was taking a toll on extravagant spending, the country’s wine import volume dipped by 8.95% during the year, while value levelled out with 1.1% increase, as shown by customs figures. Meanwhile, the profit margins for ASC Fine Wines and other importers operating in China, was further squeezed by the weakening Chinese currency. According to Shibuya’s estimates, wine importers in China last year suffered roughly a 7% drop in profit margin against the US dollar, and 3% against the euro on average, calculated by comparing exchange rates in January against the highest in 2018. “That’s why, as I said, I made more efforts for long term improvement and stablisation regarding how we can sustain our business without achieving huge targets,” he continued, referring to measures to improve portfolio refinement and diversification, as well as employee development. Describing 2018 as, “a year of turbulence for wine importers”, Shibuya said, aside from reasons related to economy and trade war, an influx of OEM wines, referring to cheap imported wines slapped with flashy labels, is also disrupting the market. In 2018, an estimated 3,800 importers entered China’s wine market, bringing the total to 7,200, the majority of which “latched on [to the industry] to launch OEM, with easy name, easy label and cheap price. Traditional distributors like ASC are always disturbed by them,” he lamented. However, he continued, despite the influx of OEMs, customs figures are showing an increase in import prices, meaning that consumers and professional wine merchants are slowly shunning cheap and low quality wines, and the market is undergoing what he calls “an adjustment for future growth”. In order to introduce more quality and artisanal wine brands to the market, this year, the wine importer has added four brands from France to its portfolio, Provence rosé Miraval and three other Burgundian estates to diversify its offerings. Meanwhile for spirits, starting from this year, ASC Fine Wines will be distributing Beam Suntory in mainland China.